Bentyl (dicyclomine) is a medication for the treatment of irritable bowel syndrome (IBS). Bentyl is labeled as an antispasmodic medication and thus is thought to be helpful in reducing intestinal spasms that can contribute to the abdominal pain and motility problems that are hallmark symptoms of IBS. However, due to the risk of constipation, Bentyl might not be right for people who have constipation-predominant IBS (IBS-C). And because of its side effect profile, Bentyl is no longer frequently prescribed. Bentyl is classified as an anticholinergic medication because it reduces the effect of the neurotransmitter acetylcholine within the body. This diminished action of acetylcholine results in a decrease in muscle spasms and secretion of mucus. Unfortunately, in addition to bringing about IBS symptom relief, Bentyl's effect on the action of acetylcholine also can bring about a whole host of unwanted side effects. Other side effects may include loss of appetite, tingling, headache, drowsiness, or weakness. Bentyl may also cause more serious side effects, such as confusion or falling. It can produce inappropriate mood and visual or audible hallucinations, as well as skin side effects such as hives or itching. If you experience any unusual or concerning side effects, contact your doctor. Should you experience any severe side effects, seek immediate medical attention. Older adults are cautioned that Bentyl may not be appropriate for them. Although Bentyl is frequently prescribed medication for IBS, there is a glaring lack of research as to its effectiveness. Research reviews, including one by the American College of Gastroenterology in 2014, found only one clinical study that assessed the effectiveness of Bentyl in reducing symptoms. This study was from 1981, showing how sparse any research is into verifying whether the drug is effective. The results indicated that Bentyl was superior to a placebo in reducing abdominal pain and tenderness, and improving bowel functioning and overall IBS symptoms. The downside was that approximately 68 percent of the patients experienced unpleasant anticholinergic side effects. A 2014 review noted that of the antispasmodics, peppermint oil has been well-studied and found to be generally effective and well-tolerated with few adverse side effects. However, unlike Bentyl, it is not regulated by the FDA as it is sold as a supplement. Bentyl comes in many forms—as a capsule, tablet or syrup. It is always taken by mouth. Be sure to follow your doctor's instructions carefully as to when to take it. 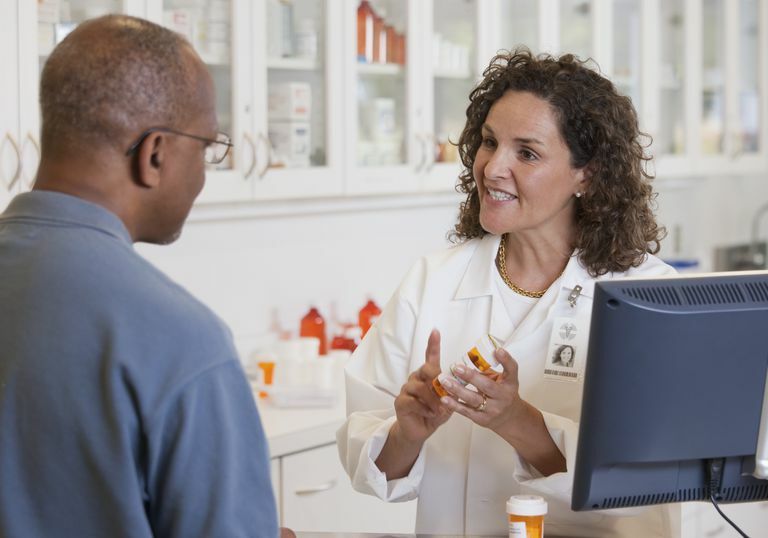 Your doctor may start you off at a low dose and then gradually increase your dosage. Typically, Bentyl is to be taken several times during the day at spaced out intervals. Your doctor may recommend that you take Bentyl 30 to 60 minutes before eating. Ford A, et.al. American College of Gastroenterology Monograph on the Management of Irritable Bowel Syndrome and Chronic Idiopathic Constipation. American Journal of Gastroenterology 2014 109:S2-S26. Page J, Dirnberger G. "Treatment of the irritable bowel syndrome with Bentyl (dicyclomine hydrochloride). Journal of Clinical Gastroenterology 1981 3:153-156. Trinkley K, Nahata M. Medication Management of Irritable Bowel Syndrome. Digestion 2014 89:253-267. How Safe Is Pepto-Bismol for IBS? How Effective Is the Low-FODMAP Diet for IBS? Which Antispasmodics Are Most Effective in Treating IBS Symptoms?